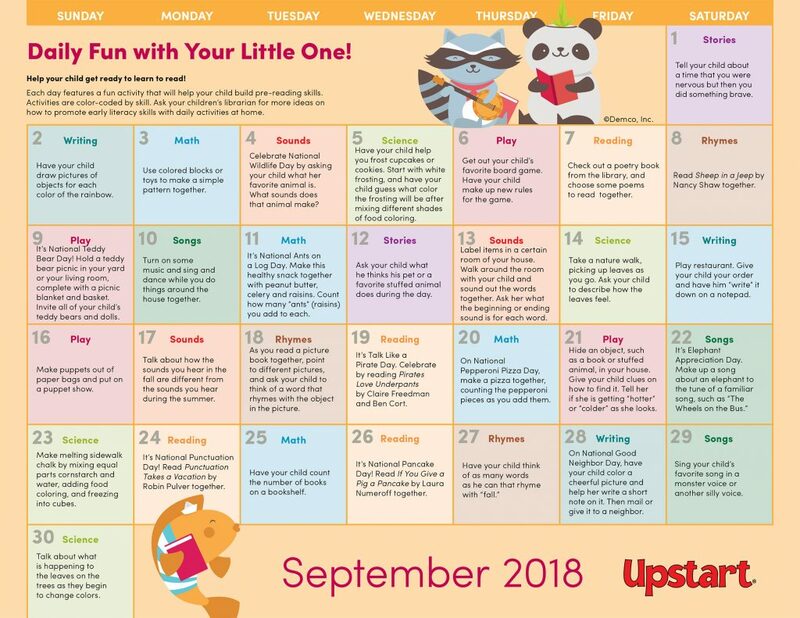 Early Literacy Activity Calendar: September 2018 — Crafts, Books & More! Early Literacy Activity Calendar: September 2018 — Crafts, Books & More! Get autumn off to a great start by supplying parents with simple early literacy activities they can do at home with their little ones. Celebrate National Pancake Day, Good Neighbor Day, Teddy Bear Day and more with craft ideas, math and science activities, book suggestions, and songs! 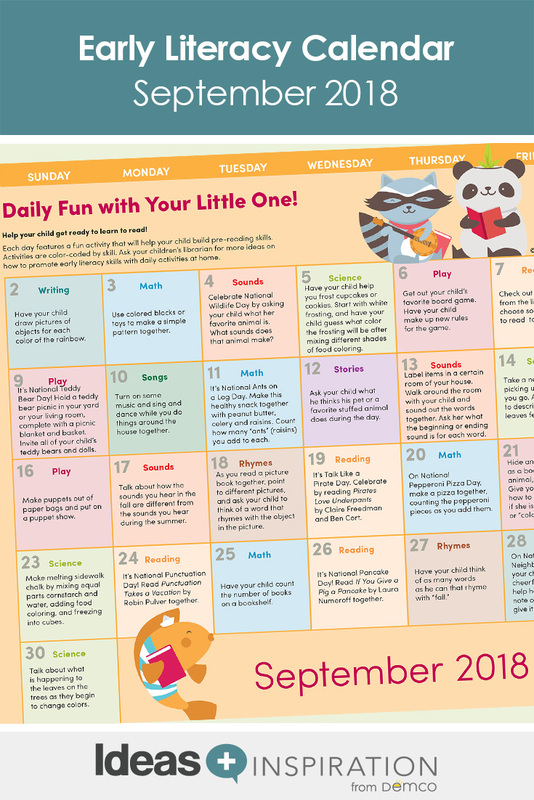 Download the September Daily Fun With Your Little One calendar. As a librarian in Belgium I would like to ask you if I may translate yours and post a similar calendar on our website? Hi Leentje, thank you for the kind words! It is fine to translate the calendars for your website, as long as the Demco copyright is still on the calendars. I’m so happy to hear you are finding them useful! Do you offer Anything like Library Sparks? I loved the monthly book recommendations and activities. Missing it terribly. Our monthly Children’s Activity Calendar offers book suggestions and activity ideas. You can use the search box on the upper right to access past calendars. You can also go to http://www.librarysparks.com for archived resources and articles from past issues of LibrarySparks. Hope this helps!